Petroni & Associates, LLC received a major web design revamp from Market3. We are very excited to display their new and improved WordPress website. 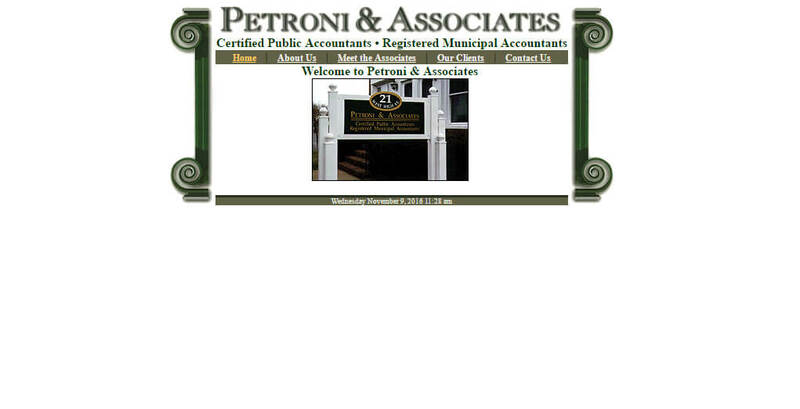 Petroni & Associates, LLC of Glassboro, New Jersey is a public accounting firm owned by Nick L. Petroni, CPA. Founded in 1954, the firm has grown into a cornerstone professional service provider for the greater Gloucester County community. 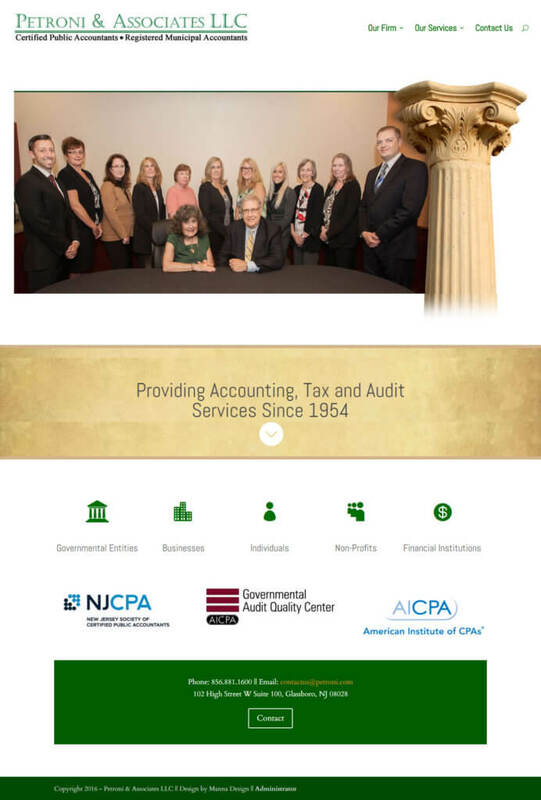 Petroni & Associates, LLC needed a website that reflected their mission of professionalism and dedication to their clients. Nick Petroni and his staff of eight professionals and five support personnel provide the highest level of service and respect to everyone they work with and their new WordPress website now communicates that. Market3 knows a large portion of web visitors are viewing websites on their smartphones or tablets. Companies have the potential to lose a lot of business without a responsive web design. When converting Petroni & Associates, LLC to a WordPress website, they were also gaining a stronger mobile presence. Since Petroni.com is built on WordPress, it is fully equipped with CMS (Content Management System) giving the client the ability to update it at ease. The CMS platform allows the WordPress website to be completely client managed, eliminating the need for risky proprietary software. Clients are able to add new photos and videos, as well as update content.